Alice took a trip to Wonderland! 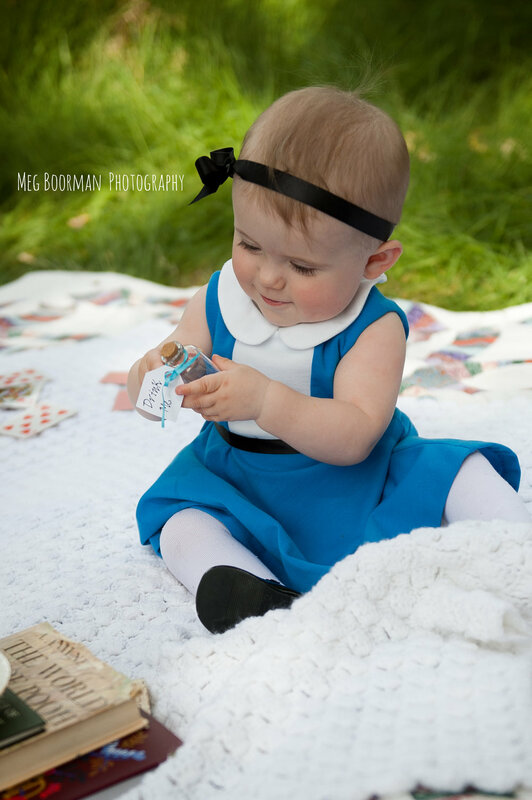 Today I got to take a little trip to Wonderland with little Alice! 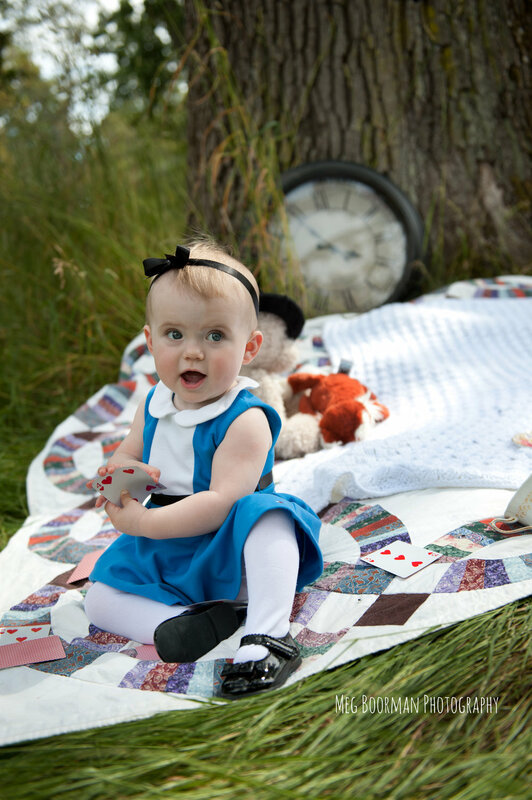 This little beauty turned one just yesterday so we celebrated with a little themed photo shoot full of heartfelt items and family heirlooms, not to mention the cutest little dress. And we even had a few deer friends lounging nearby.